Rate of Fire 3 r.p.m. 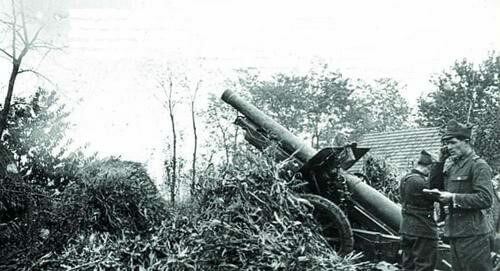 Notes The 150mm model 34 was a Skoda designed heavy howitzer which was issued to heavy motorised artillery regiments at corps level. Along with the Schneider model 36, it was a modern design and one of the best weapons available to the Romanian army.